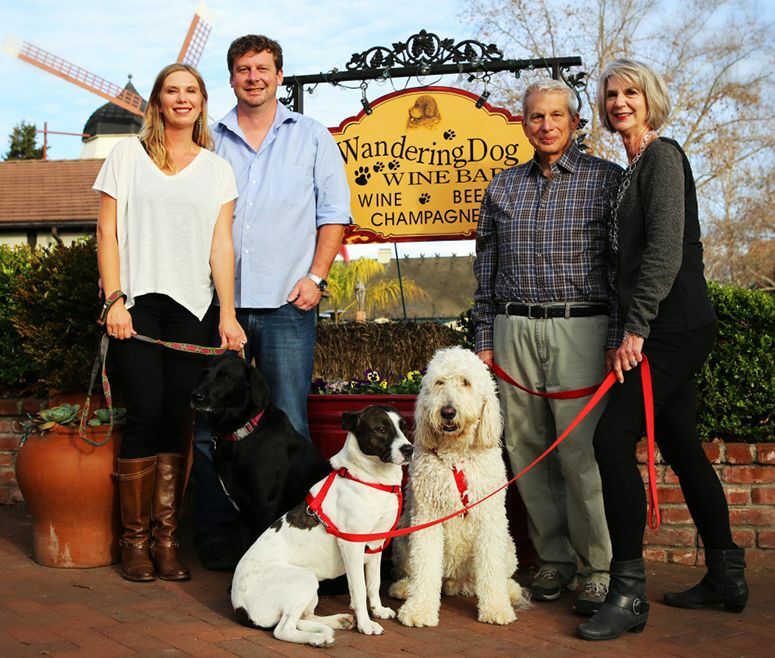 Solvang is very pet-friendly – so bring your best friend with you! 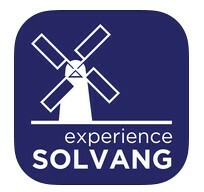 If you like to travel with your dog, then Solvang is the perfect destination for your next adventure. 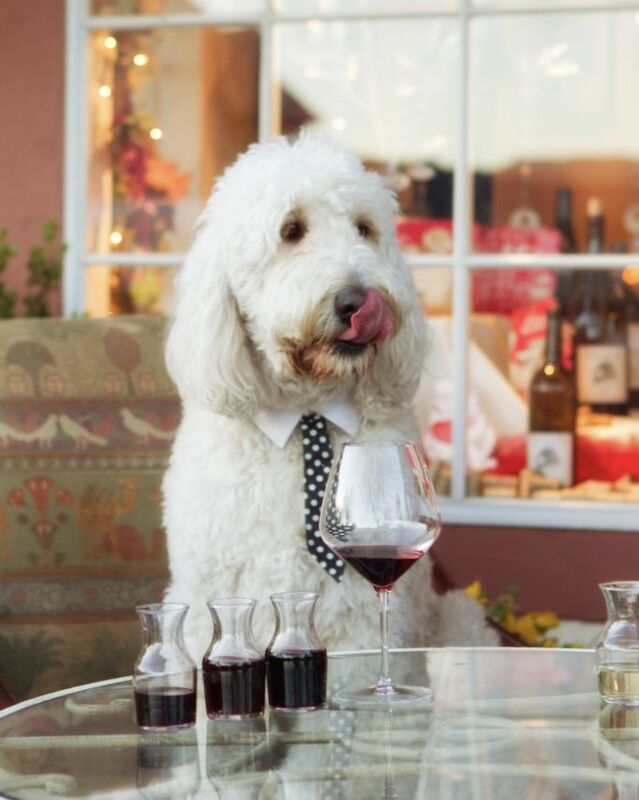 From tasting rooms in our historic village, to plenty of patio dining options, Solvang excels in pet friendliness and people friendliness. 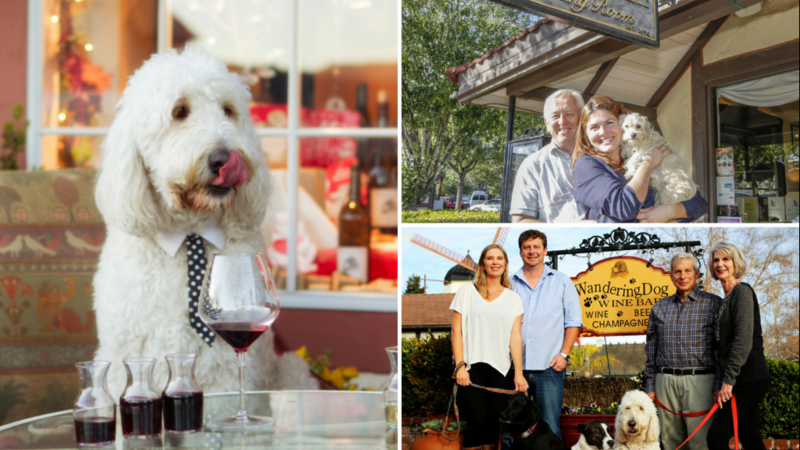 Here’s a quick itinerary for a dog-friendly visit to Solvang to help you plan your trip! 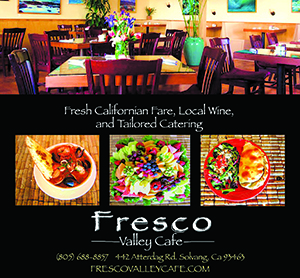 Fresco Valley Café emphasizes fresh California cuisine with excellent craft beer and local wine selection. The house made deserts are truly decadent and they offer a dog menu too! Dog Menu-Fresco Valley Cafe. Pro tip, ask the chef if your furry friend can chow down on a chicken breast from the kitchen at Chomp. We offer pets bowls of fresh water and house made peanut butter dog treats, and we have a dog friendly menu, too. Lucas & Lewellen Tasting Room Manager, Andrew Moore, and his wife and Wine Club Manager Anjie Park welcomed us to their tasting room. 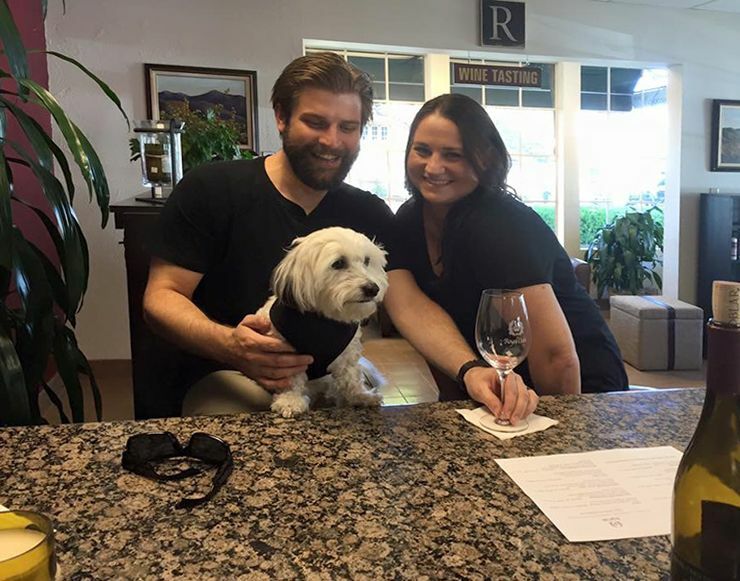 Their dog Angus comes to the tasting room every day too! This laid-back bar welcomes you and your pets on their patio. Managers Maura and Kathy, who are pet parents themselves, welcome families with fur babies of all types. This cozy bottle shop & bar is the perfect place for you and your pet, just ask "Bear". 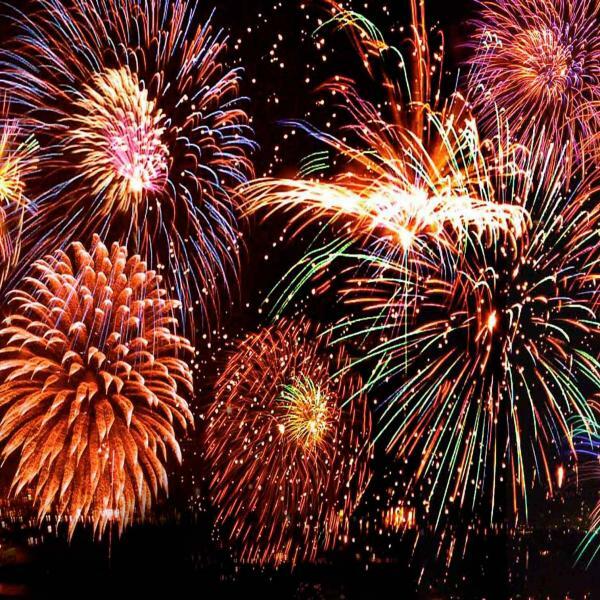 For a full listing of places to stay, visit our hotels page. 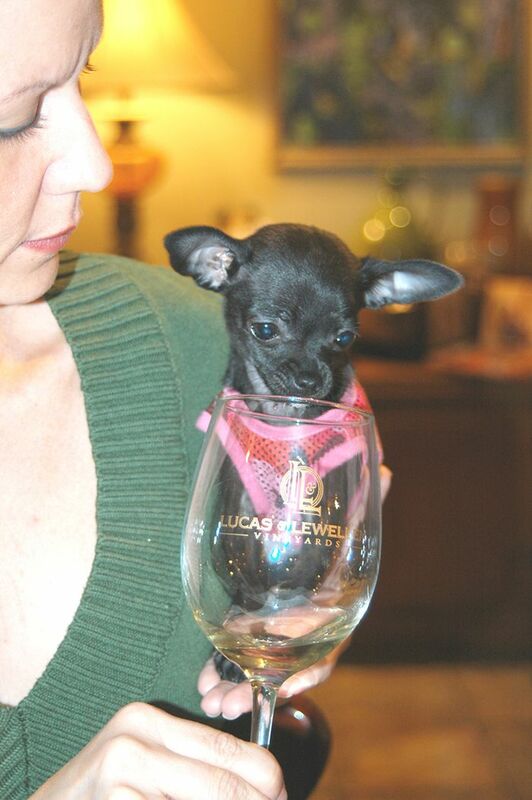 The Landsby, Royal Copenhagen Inn, and Wine Valley Inn are all pet-friendly accommodations. The Landsby allows dogs on the outdoor patio for dining at Mad & Vin. For overnight guests, they also offer a selection of pet-friendly rooms. This beautiful inn is located in the heart of Solvang and offers an enclosed garden for your dogs as well as tasty welcome treats. A charming inn offering guest rooms and cottages and welcoming pets. 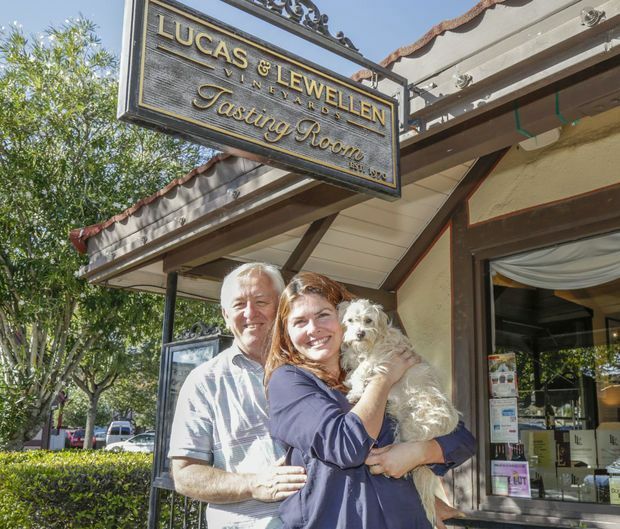 As you walk through downtown Solvang, you will find plenty of doggy water bowls and friendly shop owners. Don’t miss Unique Boutique, offer clothing, accessories, and a bakery just for your pets! This is a truly pet-friendly shop! They offer a water bowl and dog treats on hand and we love meeting our customer’s furry companions! For more dog-friendly travel tips, check out the latest visiting journalist blog post, “Doggies Dig Road Trip to Solvang,” about the pet-friendliness of Solvang. Thank you to bloggers Susan & Todd Montgomery (and their dogs Calie & Chester) for visiting. 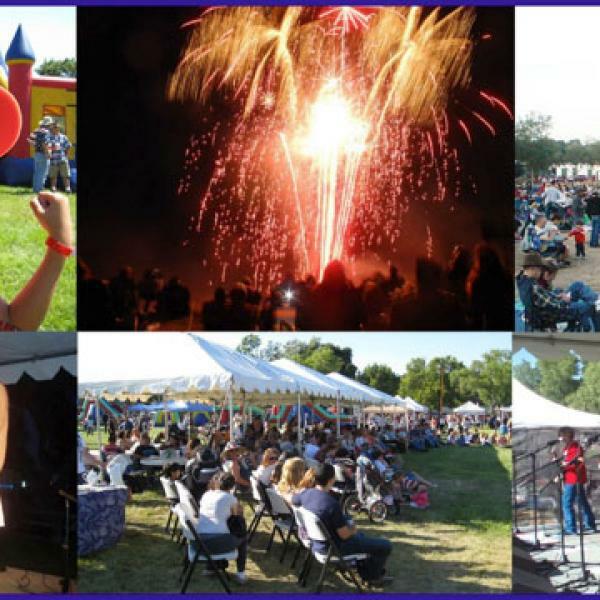 Free, for babies, toddlers, and preschoolers!